Canadian Mortgages, Insurance, Investment, Tax Planning: Life insurance or mortgage life insurance? Are you a homeowner, or about to become one? Have you thought about whether you would be able to keep up with your mortgage payments in the event of your spouse’s death? Buying a home is a major investment, and it is important to protect it when the time comes to get or renew a mortgage. Coverage amount Covers only the balance of the mortgage (amount due to the lending institution at the time of death). As the mortgage balance declines, so does the coverage amount of insurance. Covers the total amount of insurance chosen when you took out the policy. This amount remains the same over time according to the term of the contract. Premium As the mortgage balance and the amount of insurance decline, the premium remains the same. As the mortgage balance declines, the amount of insurance and the premium remain the same. Beneficiary (in the event of the policyholder’s death) The beneficiary is the lending institution. The beneficiary (e.g., spouse, parent, child, co-owner) is designated by you, the policyholder, in a contract. The beneficiary is free to use the benefit according to his or her priorities. Change of lending institution Normally, you must apply again for a new mortgage insurance contract. You keep your existing insurance and do not have to re-establish proof of insurability. 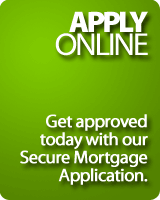 Sale and repurchase of the property You must apply again for a new mortgage insurance contract. You keep your existing insurance and to not have to re-establish proof of insurability.